Universal Office - Universal File Folder Label - 248 pack - White 60101 UNV60101 pg.1067. Universal Office - Universal Permanent Self Adhesive Label - 1008 pack - Red 40103 UNV40103 pg.1071. Universal Office - Universal Permanent Self Adhesive Label - 1000 pack - White 40108 UNV40108 pg.1071. Universal Office - Universal Permanent Self Adhesive Label - 1008 pack - Yellow 40114 UNV40114 pg.1071. Universal Office - Universal Permanent Self Adhesive Label - 1008 pack - Green 40115 UNV40115 pg.1071. Universal Office - Universal Laser Printer Label - 750 pack - White 80101 UNV80101 pg.1063. Universal Office - Universal Laser Printer Label - 2000 Pack - White 80110 UNV80110 pg.1063. AVERY DENNISON - Avery High Visibility Label - Permanent Adhesive Length - 24 Sheet - Circle - Laser - White - 600 pack 5293 AVE5293 pg.1070. AVERY DENNISON - Avery Burst Round Labels - Circle - Laser - White - 300 pack 5294 AVE5294 pg.1070. Universal Office - Universal Laser Printer File Folder Label - 750 pack - Assorted 80111 UNV80111 pg.1067. Universal Office - Universal Laser Printer Label - 1400 Box - White 80106 UNV80106 pg.848. Monarch - Monarch Pricemarker 1156 Fluorescent Red 1-Line Labels - 1000 Roll - Rectangle - Fluorescent Red - Paper - 2 pack 925561 MNK925561 pg.1537. Monarch - Monarch Price Tag Label - 1000 Roll - Rectangle - Fluorescent Green - Paper - 2000 pack 925562 MNK925562 pg.1537. Universal Office - Universal 1-Across Dot Matrix Printer Label - 5000 Box - White 70104 UNV70104 pg.1064. Universal Office - Universal Adhesive Address Label - 1000 Box 90107 UNV90107 pg.1063. Universal Office - Universal Adhesive Address Label - 100 Box 90108 UNV90108 pg.1063. Universal Office - Universal Address Label - 2100 Box - White 90106 UNV90106 pg.1063. Universal Office - Universal 1-Across Dot Matrix Printer Label - 5000 Box - White 70103 UNV70103 pg.1064. Universal Office - Universal 1-Across Dot Matrix Printer Label - 5000 Box - White 70112 UNV70112 pg.1064. Universal Office - Universal Adhesive Address Label - 3300 Box 90102 UNV90102 pg.1063. Universal Office - Universal 1-Across Dot Matrix Printer Label - 5000 Box 70109 UNV70109 pg.1064. Universal Office - Universal 1-Across Dot Matrix Printer Label - 3000 Box - White 75114 UNV75114 pg.1064. Universal Office - Universal 1-Across Dot Matrix Printer Label - 5000 Box - White 70114 UNV70114 pg.1064. Universal Office - Universal 1-Across Dot Matrix Printer Label - 5000 Box 70110 UNV70110 pg.1064. Universal Office - Universal 1-Across Dot Matrix Printer Label - 5000 Box - White 70116 UNV70116 pg.1064. 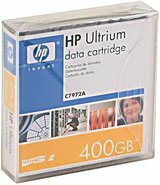 Hewlett Packard - C7972AN HP/COMPAQ - 20PK ULTRIUM 400GB NON-CUSTOM LABEL (C7972AN). NEW. IN STOCK. SHIP SAME DAY.